Grants are the lifeblood of many Not for Profits but where should you start on your mission to get money? How can you increase your chance of success? Our panel of philanthropic grantmakers will help you understand the granting process, how funders think, how decisions are made and ways you can avoid making all-too-common mistakes. How you can leverage to build success upon success. The three presenters come from very different philanthropic organisations..
Vedran Drakulic, CEO, Gandel Philanthropy, one of Australia’s largest independent family philanthropic funds. Lin Bender, Chief Executive, Helen Macpherson Smith Trust, an independent philanthropic trust established in 1951. Grant Hooper, Senior Manager, Grants at Equity Trustees Grant, he and his team manage the granting activities of discretionary philanthropic trusts. The role involves developing and implementing granting strategies and providing research and advice to Trustees and donors to inform their grantmaking. 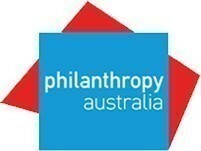 This webinar is brought to you in partnership with Philanthropy Australia. Vedran Drakulic, CEO, Gandel Philanthropy, one of Australia's largest independent family philanthropic funds. Lin Bender, Chief Executive, Helen Macpherson Smith Trust, an independent philanthropic trust established in 1951. Grant Hooper, Senior Manager, Grants at Equity Trustees Grant, he and his team manage the granting activities of discretionary philanthropic trusts. The role involves developing and implementing granting strategies and providing research and advice to Trustees and donors to inform their grantmaking.